Set of 6 templates. These sets of leaves are wonderful additions to any project that call for a touch of nature. There are six types with three different sizes each to choose from. 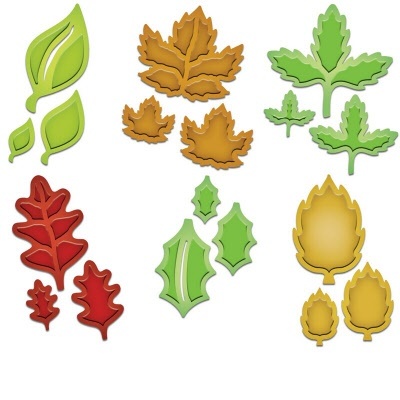 They can be used in coordination with the other foliage sets: S4-328 Foliage, S5-120 Fall Foliage and S5-129 Foliage Two. Spellbinders™ Shapeabilities cut, emboss and stencil with a single die template. LG: 1 1/8 x 1"